With the launch of the much awaited Android 4.0 Ice cream sandwich operating environment for smartphones, the top mobile companies are cashing in on its hype by releasing their phones in the beaming market. Samsung’s Galaxy series phones were first launched with Android 4.0 and have been the market rulers for quite some time. Soon to follow are the HTC Android 4.0 phones with the most awaited model being the much awaited HTC One S. The question arises whether the HTC phones will be able to live up to the market hype and be able to dethrone Samsung. The answer is a definite Yes keeping in mind all the features that these phones offer. The following is a brief study of the features which this new era of HTC phones offers. Screen: The One S sports an AMOLED screen with a smooth and essentially sensitive screen. The feel of the touch is probably better than any existing phone in the market in its price range. With a resolution of 540×960 this phone is worth a hit. Platform: Besides the android 4.0 these phones also have a sensitive screen UI which enhances the feel and usage of the phone. Needless to say, the android 4.0 OS is sufficient enough to grab eyeballs. Outlook: The phones are sleek and attractive to the eye. It can attract anyone with its looks and is a killer thing to have in one’s hand. Memory: The HTC one S and amaze 4g both have a vast internal memory of 16 Gigabytes and a minimum RAM of 1 GB, which is at par with a normal computer! Hence the phone offers operations at lightning speed and ensures the user of a smooth phoning experience. Internal Hardware: With a Qualcomm MSM8260A Snapdragon chipset motherboard and a processor speed of 1.5 Ghz (Dual Core), these phones can surpass any phone in the market when it comes to quality operations. Camera: Both the HTC One S and Amaze4g offer an 8 megapixel camera along with LED flash. The quality of photographs is comparatively higher than its opponents due to its high resolutions. Both the phones also sport a secondary camera which can be used for online chatting and other applications like Skype for video conferencing and calls. Spectrum: 4G is supported in both the phones which help in better internet usage. With the high browsing speeds offered by these phones, internet experience is surely to reach a new level in these phones. Battery: these phones boast of a battery backup of a minimum 6 hrs talk time. Other amazing features: The HTC android 4.0 phones also come with GPS support which helps in location searching and references. Besides the java support, SNS integration, Google Apps, HTML support and Flash player are some more exciting features of these phones. These amazing Smartphones also come at a cheap and affordable price in comparison to the features they offer and are also priced lower than their market opponents. 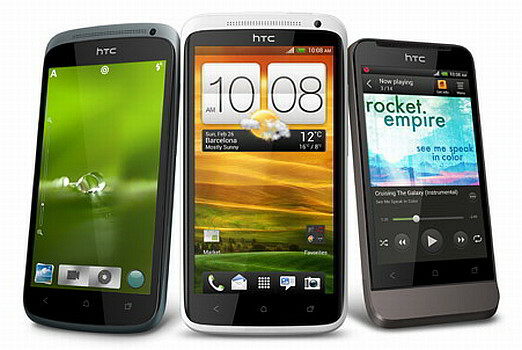 No wonder, the HTC One S has surpassed all smartphones in its category in terms of market sales with its close twin at the second spot. To sum it up, it can be well said that these HTC Android 4.0 phones are indeed exciting and can cause amazement to anyone and everyone who uses them. About the author: Kelly is a blogger by profession. She loves writing on technology and luxury. Beside this she is fond of gadgets. Recently an article on jennifer lopez photos attracted her attention. These days she is busy in writing an article on brockton rox. Previous articleWhat’s New in CyanogenMod 9 Build?